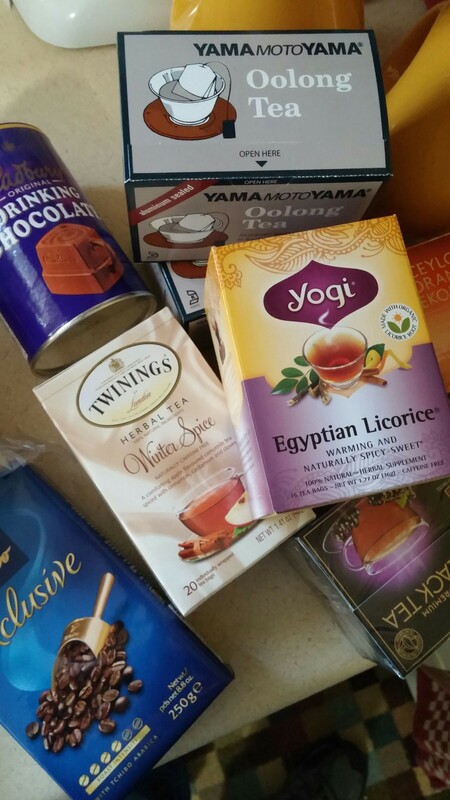 I wasn’t joking about the tea shopping yesterday! We also picked up Cadbury Drinking Chocolate which you can’t get anywhere else and some nice coffee. Chances are my cabinet is still full of loose leaf and bags and I’m nowhere near a tea shortage in this house for at least several more months, but it’s always fun to buy and try more! I like tea, hot or cold, but a cup of hot tea is always nice during the colder months.